This is a sub-page of You only live twice. Here is a report I heard on the radio of a dream. As such, it is third-hand info, but I cannot think of a better illustration of the nature of dreams and of how the common view of dreams as memories of imagined experiences while asleep is wrong. The dreamer was of manning the helm (steering wheel) of a ship or boat in a storm. Progressively larger swells caused seawater to crash onto the deck until a wave came over the wheelhouse and onto the face of the dreamer, who then woke. He reflexively reached to his face to wipe the water away – and his hand came away wet! Condensation runs down the inside of a window next to the sleeping person and hits the window sill, splashing the face of the sleeper, waking him. He reflexively reaches to his face to wipe the water away – and his hand comes away wet. The narrative ‘feels’ like a memory because (speculating a bit here) how else could it be reasonably interpreted? Of course, all experiences are memories, whether recent (a fraction of a second) or long ago. In addition, the common explanation of dreams is that they happen during sleep. It seems to me that could also cause us to interpret it that way. We should not trust the ‘time stamp’ of when we wake (supposedly after the dream) or of anything else about a dream. We don’t imagine the content of the dream is real, so why should we trust our sense of the order of events connected with it? This perhaps does not really belong on a page about dreams, but I felt the need to include it somewhere. Maybe here is as good a place as any because there is a parallel between the aloneness of a dream and the aloneness of solo flight. Beryl Markham flew the Atlantic on her own from England to the USA in 1936. This is a snippet from her account of that journey. Being alone in an aeroplane for even so short a time as a night and a day, irrevocably alone, with nothing to observe but your instruments and your own hands in semidarkness, nothing to contemplate but the size of your small courage, nothing to wonder about but the beliefs, the faces, and the hopes rooted in your mind–such an experience can be as startling as the first awareness of a stranger walking by your side at night. You are the stranger. 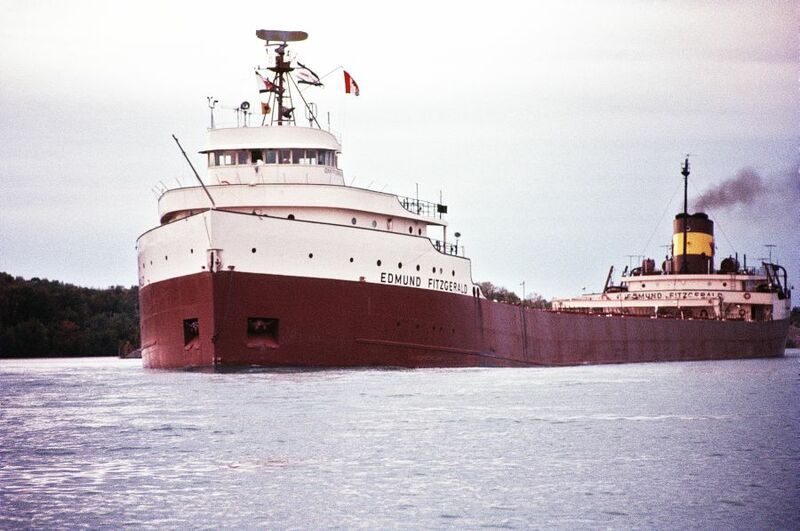 The Wreck of the Edmund Fitzgerald documentary film snippets set to the Gordon Lightfoot song. Not a dream, unfortunately.